Wei Liu, MPH, L.Ac., Lic. Nutr. Liu received her medical degree in China and then trained in Public Health Nutrition from the University of Minnesota. She has combined acupuncture, Chinese herbs and nutrition in her practice for more than 25 years. Liu treats patients with a wide variety of pain conditions (such as lower back pain, headaches, migraines, fibromyalgia, joint pain, knee pain, neck pain, shoulder pain, nerve pain, TMJ, arthritis, and menstrual pain) and women’s health problems (including infertility, menstrual disorders, hormonal imbalance and menopausal syndromes, endometriosis, poor ovulation, pre & post IVF acupuncture treatment, IUI support treatment, stress, insomnia, fatigue, depression and anxiety). She has helped many couples successfully conceive a child (more information can be found here). He has been practicing acupuncture and Chinese herbs for more than 40 years. Her clinic experiences are in treating women’s health issues, pain conditions, emotion disorders, cancer support treatments, weight loss, allergies, sinus, chronic cough, stress, anxiety, depression, menopause, infertility, menstrual disorders, cosmetic acupuncture, skin disorders and pain control (for conditions such as migraines, arthritis, lower back pain, neck/shoulder pain, fibromyalgia, TMJ and sport injuries). Gu graduated from Beijing Traditional Medical University and spent the next 40 years in the hospitals of China, gaining extensive experience with a wide variety of medical conditions. In 1996, Gu came to Minnesota and joined TCM Health Center. Through the use of acupuncture and Chinese herbs, he continues to tackle a wide variety of medical conditions from conditions such as Parkinson’s, Alzheimer’s disease and ALS to stroke recovery, multiple sclerosis, skin disorders and pain management. Bian received her degree from Shandong University of Traditional Chinese Medicine after 8 years training. She has successfully helped many patients with their ailments while working in hospitals in China. She is pleased that she can help people in America with her specialties and experience. She specializes in combining acupuncture and Chinese herbs to treat many health problems. Bian commonly treats menstrual disorders, endometriosis, PMS, infertility, menopausal syndromes, depression, stress, anxiety, insomnia, migraines, headaches, neck pain, lower back pain, arthritis, tendonitis, carpal tunnel syndrome, Bell’s palsy, peripheral neuropathy, MS, post stroke sequel and paralysis. She also specializes in treating skin conditions that include acne, eczema, psoriasis, shingles. Li received 12 years of training from Shandong University of Traditional Chinese Medicine. Li has published numerous research papers focusing on the area of emotional disorders. Using a combination of tui na, acupuncture, Chinese herbs and cupping, Li offers effective treatment for pain conditions (such as lower back pain, neck pain, shoulder pain, hip pain, headaches, migraines and sports injuries), emotion related disorders (such as stress, depression, anxiety and PMS), and woman's health problems (such as infertility, menopausal symptoms and dysmenorrhea). Liu received medical training from Hubei University of Chinese medicine and her PhD in Neurology from the University of Hong Kong. Through her extensive scientific publications on acupuncture, Liu believes that her experiences have given her immense insight on the art of traditional Chinese medicine and its influence on the health of the human body. She specializes in women’s health issues (such as menstrual disorders, infertility and hormonal imbalances, neurological), digestive problems (such as IBS, nausea, food sensitive and allergies, colitis, Crohn’s disease), eye issues (such as macular degeneration, poor vision and dry eyes) and pain conditions (such as migraines and joint pain) along with treating conditions such as Alzheimer’s disease, Parkinson’s disease, stroke sequel and peripheral neuropathy. Jinan Zheng, Qi Gong Master, MS, Lic. MT. Starting from a young age Jinan Zheng followed a Taoist to practice Qi Gong (an ancient healing method which requires an extensive amount of time and practice for mastery). 40 years later Master Zheng has been using Qi Gong to help a variety of patients suffering from pain, injury, stress, emotional disorders, woman’s health issues, cancer treatment related conditions and difficult/complex health issues. Through the use of qigong, acupressure, trigger point stimulation, and tui na he has developed a unique therapeutic skill which aids to healing illness and promoting well being. Qu has had practiced for almost 30 years in both traditional Chinese medicine and western medicine. She taught and practiced at Guangxi Women and Children's Hospital in China before coming to Minnesota. Qu specializes in helping patients with women health issues (such as menopausal syndromes, infertility, hormonal imbalance, menstrual disorders) and pain conditions and neurological and musculoskeletal disorders (such as lower back pain, headaches, migraines, fibromyalgia, joint pain, neck & shoulder pain, nerve pain, Bell's Palsy) along with other common conditions (such as stress, depression, anxiety, fatigue, and weight loss). Yang graduated from Hunan University of Traditional Chinese Medicine. He has spent more than 26 years in practicing Chinese medicine. He is pleased and proud when he is able to help people with their health problems using his professional knowledge and clinical skills. Through the uses of modalities of acupuncture and Chinese medicinal herbs, Yang specialized in treating the following syndromes and diseases: insomnia, anxiety and depression, male infertility and impotence, headaches, migraines, hypertension and heart palpitations, menstrual disorders and menopausal syndrome, asthma, sinusitis, chronic constipation and other digestive system disorders, lower back pain, joint pain, arthritis, vertigo, tremors, facial paralysis, stiff neck and frozen shoulder. Tian attended Shandong University of Traditional Chinese Medicine where she received her PhD. She is actively involved in scientific research that focuses on widening the application of Chinese medicine to serving the public more effectively. The conditions Tian focuses on treating include headaches, migraine, back pain, stiff neck, lower back pain, shoulder pain, tennis elbow, carpal tunnel syndrome, sciatica, facial paralysis, arthritis, TMJ, peripheral neuritis, endometriosis, irregular menstruation, gastrointestinal disorders, sinusitis, insomnia, stress, anxiety, depression, IBS, allergies, asthma, digestive disorder, women's health and infertility. Guo graduated from Beijing University of Chinese Medicine with a Bachelor’s degree and Ph.D. in Acupuncture Moxibustion and Tuina. As a visiting scholar, he researched at the College of Pharmacy, University of Florida. 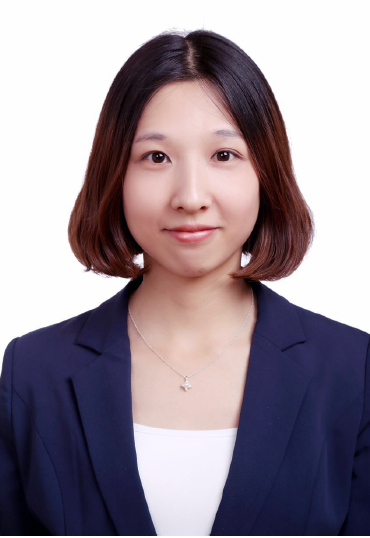 Guo then served as a postdoctoral fellow at the Department of Oncology and Hematology at Dongzhimen Hospital, focusing on acupuncture treatment for cancer support treatment, postsurgical recovery, insomnia, fatigue, depression, anxiety, stress, etc. Guo has several publications on acupuncture treatment for depressive disorders. Using acupuncture and herbs, he has experience in the treatment of neurological conditions such as Alzheimer's disease, Parkinson's disease, multiple sclerosis, stroke sequelae, and ALS. Guo also has a strong background in pain conditions such as joint pain, neck and back injuries, sciatic pain, headaches, migraines, TMJ, carpel tunnel syndrome, etc. He served as a general physician at Beijing Sanlitun Community Health Service Center before joining TCM Health Center and AAAOM. She graduated with a focus in Acupuncture Moxibustion and Tui Na from Beijing University of Chinese Medicine specializing in gynecology and dermatology. Using acupuncture and herbs, she has had great success in the treatment of acupuncture cosmetics and skin diseases such as acne, eczema, psoriasis, facial rejuvenation, shingles and herpes; infertility and women’s health issues such as menopausal symptoms, endometriosis, dysmenorrhea, irregular period, fibroids, ovarian cysts, PMS, and postpartum disorder. Her other areas of focus include pain conditions including arthritis, fibromyalgia, sciatica, neck and back pain, headaches, and TMJ. Wu received her PhD from Heilongjiang University of Traditional Chinese Medicine and was nominated as a “National Academic Inheritor of Chinese Medicine Leading Experts” after 12 years of training. She taught and practiced at Shanghai Longhua hospital with more than 25 years of clinical experience. She received her additional OMD (Doctor of Acupuncture and Oriental Medicine) in Los Angeles and focused on pain management before she joined TCM Health Center. She specializes in combining acupuncture and Chinese herbs for women’s reproductive issues (including infertility, endometriosis, menstrual disorder, premature ovarian failure, hormonal imbalances, menopausal syndromes, uterus fibroids and related emotion disorder such as stress, depression and anxiety) and pain conditions (including neck pain, shoulder pain, lower back pain, knee pain, arthritis, painful periods, headache and Bell’s Palsy). Zhu graduated from Shandong University of Traditional Chinese Medicine with a bachelor’s degree in Integrative Clinical Traditional Chinese Medicine and Western Medicine. He then worked at Qingdao Hiser Hospital and Qingdao Women & Children’s Hospital, focusing on treatments of chronic respiratory diseases and surgical practices. Afterwards, Zhu received his Master’s degree in Epidemiology from the Colorado School of Public Health, University of Colorado. With the combination of acupuncture, cupping and Chinese herbal medicine, Zhu has achieved great effectiveness in treating pain conditions such as headaches, migraine, arthritis, fibromyalgia, sciatica, neck and back pain, TMJ and sport injuries; along with emotion-related conditions such as depression, anxiety, stress and PMS; and female health issues such as infertility, dysmenorrhea and menoxenia. He also has a strong specialty in respiratory conditions including cough, asthma, COPD, etc.